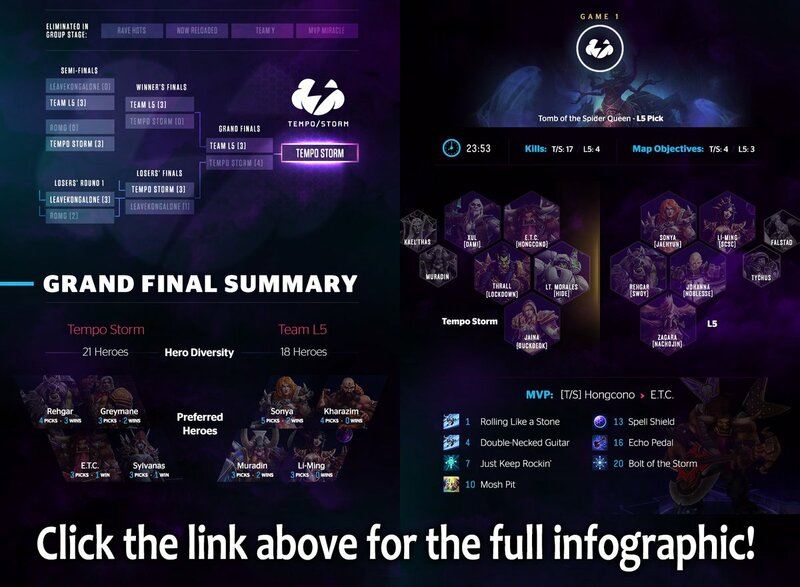 In celebration of our new signing, we made a new infographic focusing in on the grand final series between Tempo Storm and Team L5 in the second season of Power League, a Korean Heroes of the Storm league. This was the tournament they premiered the signing – meaning, this was the first time they appeared on stage branded as Tempo Storm. Luckily, for the sake of the infographic, the series happened to go on to all five games in the best-of-five series, and all the games ended up pretty close and epic. Even if it ended up being a 3-0 sweep, and even if Tempo Storm lost, we were planning on doing the infographic anyway, but considering the way the games turned out, there wasn’t much more I could’ve asked for. This was a collaborative project, with Moonprayer doing statistics and analysis, hareclam doing graphic design, and me doing project direction and outlining. After explosive controversy regarding Astral Authority’s Heroes of the Storm team’s disqualification from ESL’s tournament, I decided to seize this opportunity to write a piece about the event, through the eyes of a social psychologist. Because I take a much more broad and general role at Tempo Storm, I don’t really dig deep into Heroes of the Storm news, even though I’ve been with Tempo Storm’s HotS team multiple times to different events. However, something as big as this definitely catches my eye, and I took some extra time to actually read through what people were saying. My main motivation for writing this piece was how much people were complaining about how “the right thing” didn’t happen, as if life is supposed to be perfect. It seemed a little strange to me, but then I figured that it was simply because a lot of the commenters were young people who just didn’t have much life experience. To help them out a bit, I applied some psychological theories and explained both why stuff like this happened, and why it’s just how life is. Last night, one of my good friends Mellina Kong, manager of Astral Authority’s professional Heroes of the Storm roster, posted an update on Twitter about how her players had their dreams crushed. Curious as to what was happening, I looked into it. Apparently, Astral Authority had qualified for the HGC Fall 2016 NA Regional, happening in early August. The winner of this regional will qualify for BlizzCon 2016 to take their shot at proving themselves to be the best team in the world, on the grandest stage of them all. Not long after, Astral Authority was notified that their qualification had been revoked and their team was disqualified due to bug abuse. Tyrael has a bug with his trait where selecting a particular sequence of talents and inputting a series of key presses with the right timing will cause his Archangel’s Wrath to deal an unintentionally high amount of damage. 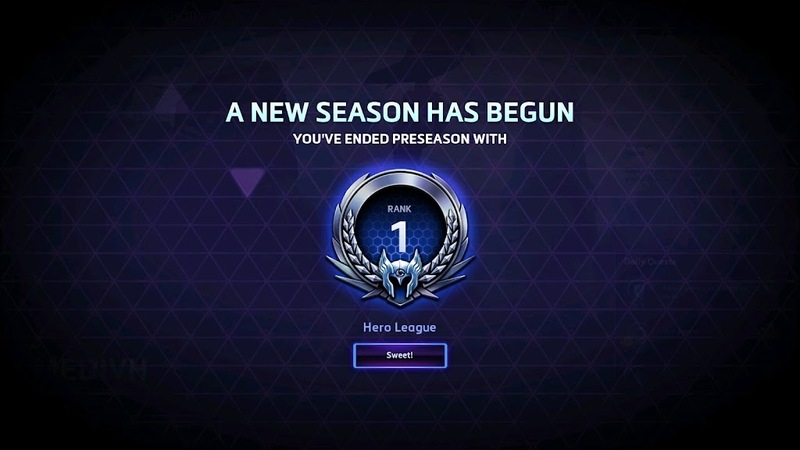 According to investigations conducted by ESL and Blizzard, a player on Astral Authority was abusing this exploit to gain an unfair advantage in their games, and consequently, the team was disqualified. Drama began to explode, with some members of the community and other professional players directing the hatred of 10,000 years at ESL, Blizzard, and Astral Authority’s opponents. People attempted to justify Astral Authority’s behavior by bringing up evidence of other teams using the exploit, claiming ignorance, and just spewing hatred to get the frustration out of their bodies. What’s done is done. ESL disqualified Astral Authority from the tournament and are scheduling a match to determine their replacement. No matter how vocal Astral Authority fans get, I highly doubt that ESL will reverse their decision by reinstating Astral Authority or revoking the match offer they gave to the runner-up teams. Having an educational and professional background in sociology and psychology, with a speciali­zation in criminal psychology, I decided to write this piece to help explain this whole fiasco, and nudge the community in the right direction – away from drama, and towards a thirst for learning. There are some valuable lessons we can learn from this situation about how life works. Just because you work hard for something doesn’t mean you get it. Not everyone gets punished for wrongdoing. Don’t get caught off guard by Schadenfreude. We finally got around to revealing that we signed a new Heroes of the Storm team – Team Tempest, the current reigning world champions. 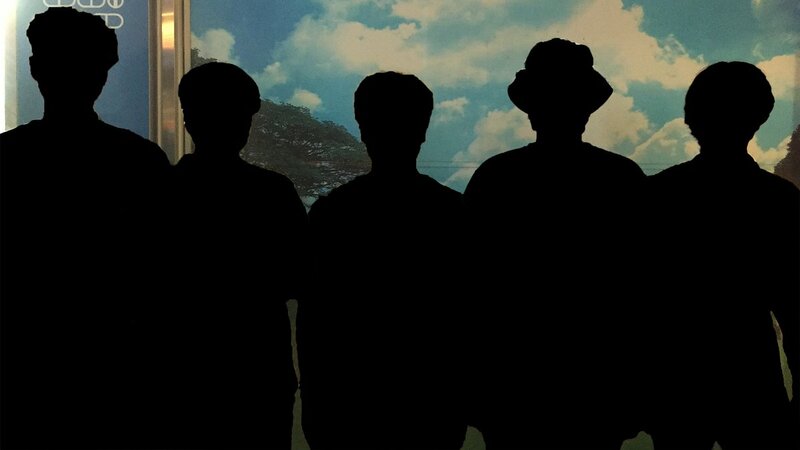 We also got around to revealing that I’m really bad at making non-obvious teasers. Check out the official announcement linked in the tweet above – I wrote the announcement, and our new communications specialist wrote/translated the player bios. 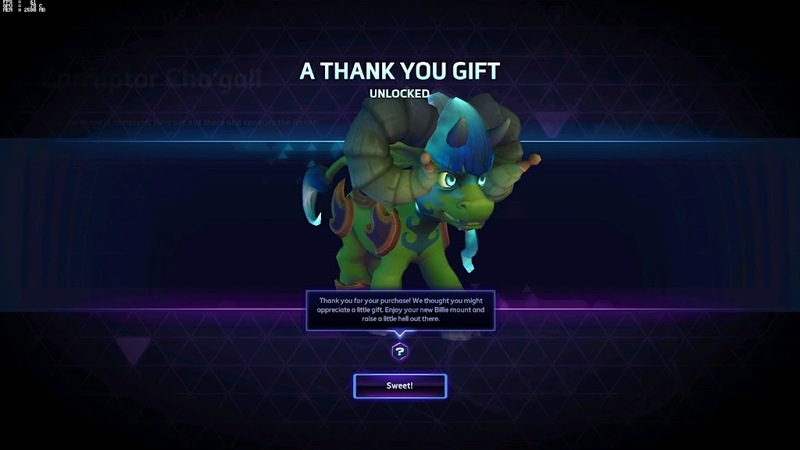 I’ve been around Heroes of the Storm for quite a while now, and I’ve made quite a few purchases from the shop. Back in beta, if you made a purchase, you got Wonder Billie for free, which is the rainbow midget mount; more recently, a purchase would earn you a free Billie the Kid, which is basically the same thing as the rainbow mount, without the fancy colors. Back during the Black Friday sale, I got almost all the skins I wanted at 50% off. 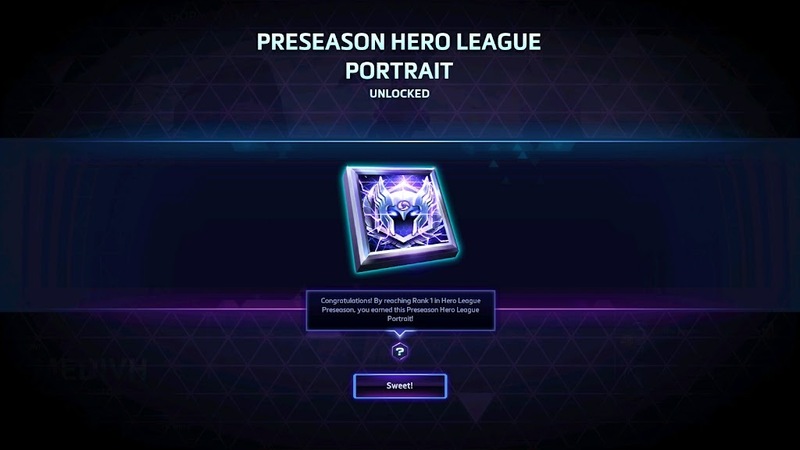 But, I recently noticed that I forgot to get Corruptor Cho’gall, which is the skin that turns you white and gold once you unlock the third color variation. 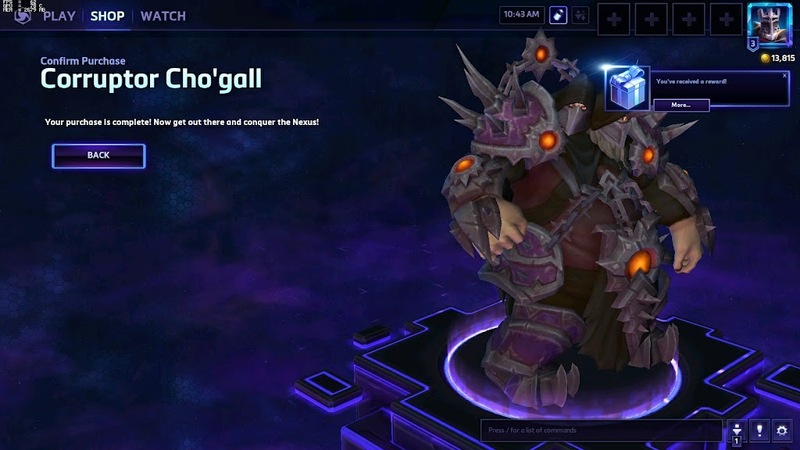 Because I’ve been playing Cho’gall a bit more often lately (I would play only Gall if I could, but it’s difficult to find a competent partner), I went and unlocked the skin. I got a little notification that I had received a new gift, and apparently, the new “Billie” mount now is Hell Billie. I actually find it really nice that they’re giving away free promotional items like this, and it actually ties in very closely to a good marketing strategy. 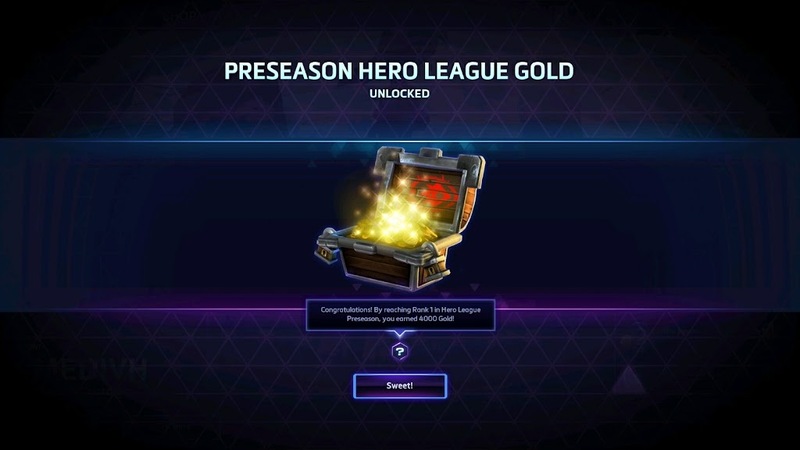 It’s the foot-in-door technique – by offering a free gift upon a player’s first shop purchase, they’re providing better value for the potential buyer’s money, and encouraging them to make that first buy. Once they do, it’s more likely that they will continue making future purchases. I also like the fact that they’re keeping the Billie theme across the free mounts, and it’s nice that they picked Hell Billie, which sort of has a World of Warcraft: Legion theme feel to it, so it reflects what’s going on in the Warcraft world right now. When I did some research on this, apparently, Billie the Kid became available on June 2, 2015, and Hell Billie became available on June 2, 2016. I’m guessing that the next Billie mount is coming out on June 2, 2017, and I’m eager to find out what theme the Blizzard world will take in that time, that will affect what the mount will be. I powered through my 10 placement matches today, went 6-4, and placed into Diamond 3, which is ap­par­ent­ly the highest you can get immediately after placements. Although our Chinese infographic from a few weeks ago wasn’t quite as popular as our North American and European ones, I really liked how the multi-language infographic came out, and those who were interested in the Asian scene really appreciated it. 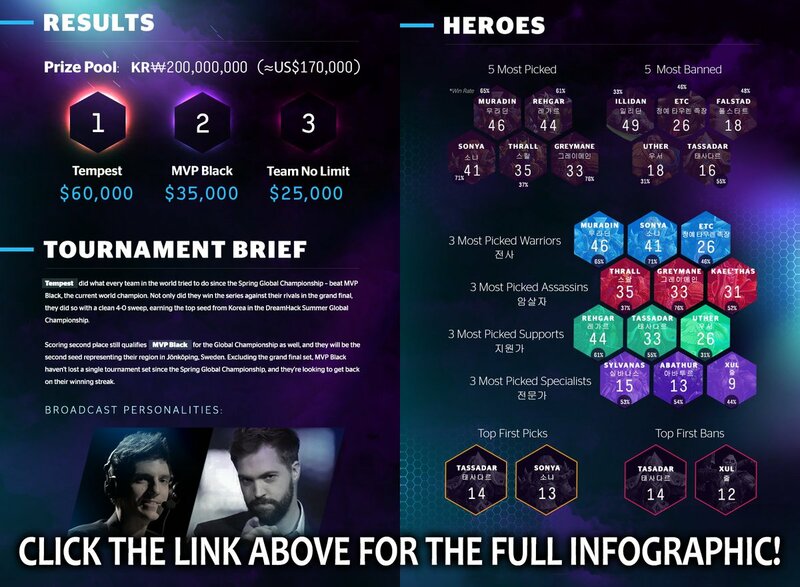 So, we decided to do another foreign infographic, this time for Korea’s OGN Super League. This was finished a little later than we wanted because we prioritized getting the North American regional infographic out first. Super League actually ended while we were in Burbank, CA for the regional, and most people attending ESL were shocked that Tempest managed to sweep MVP Black 4-0 to become the new Korean champions. Like always, I appreciate any community feedback that may help me improve my work, so if you have any suggestions, you’re welcome to leave them in the Comments section of this blog post. There’s also a thread on reddit that’s posted with these infographics, and our statistician closely monitors that, and a lot of our tweaks and improvements have come from posts there – so rest assured that your voice, if you choose to express it, will be heard. 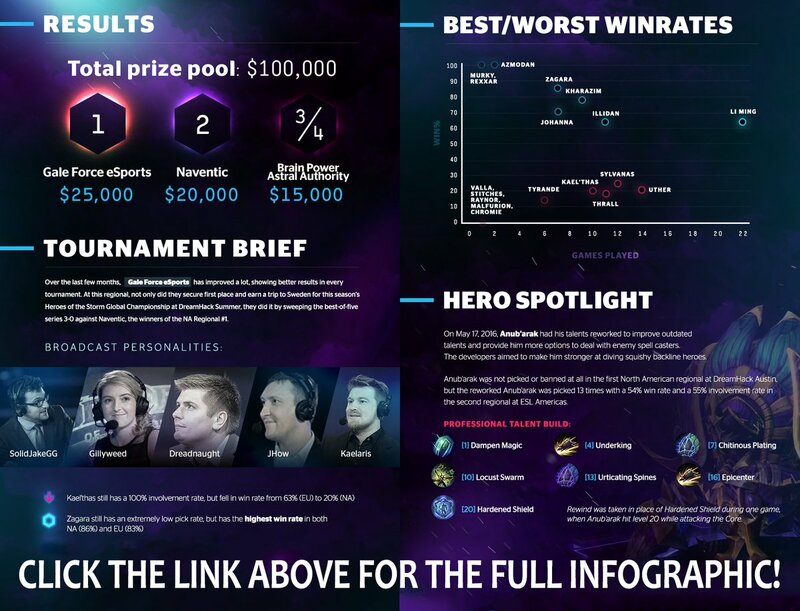 The infographic from the Heroes of the Storm tournament I just attended is live now. While I was there, I noticed a huge rise in Anub’arak play (which was a hero otherwise not really seen in com­petitive play). I also remembered that he had some buffs and changes recently, so I asked my statistician and analyst to collect some more in-depth data about Anub’arak so we could create a new section, the Hero Spotlight. Like always, although our statistician and data analyst Moonprayer does a lot of work, I still take this as one of my personal Tempo Storm projects and put effort into innovating and improving it. As a result, I’ll always read non-troll feedback about the infographics. If you have any suggestions as to what new segments we should add in the future, or have any validly-supported complaints about anything we’re doing now, feel free to leave me a note in the Comments sec­tion of this blog post. I read every single message posted to my website, and answer all posts that prompt a response. One of the biggest complaints I had for previous Heroes of the Storm tournaments was the fact that everything was packed into two days. Luckily, for this tournament, they split it up into three days so the broadcast personalities and production crew wouldn’t have to work 14-hour-long work days. Unfortunately, Blizzard wasn’t able to provide enough money for ESL to do an official broadcast and open stage for a three-day broadcast, so the first day of group stage (which was today) happened behind-the-scenes. Tempo Storm’s first matchup was against Naventic, the team expected to win the whole tournament. At approximately 9:30 AM PDT, the players got everything set up in the game room, and began reporting audio issues to the ESL admins. The ESL admins promptly contacted some techs to get our audio problems resolved, but nothing seemed to be working. Some players had audio input and output problems, some players were hearing static, and some players’ white noise wasn’t working. For over an hour, ESL techs went in and out of the game room trying to fix our problems. At one point, Tomster nearly had his eardrums blown up when a tech said all the audio problems should be resolved, but then proceeded to transmit a brain-bustingly loud crackling noise through his earbuds. After a massive delay, ESL finally got around to fixing everything. This is where the real clown fiesta begins. 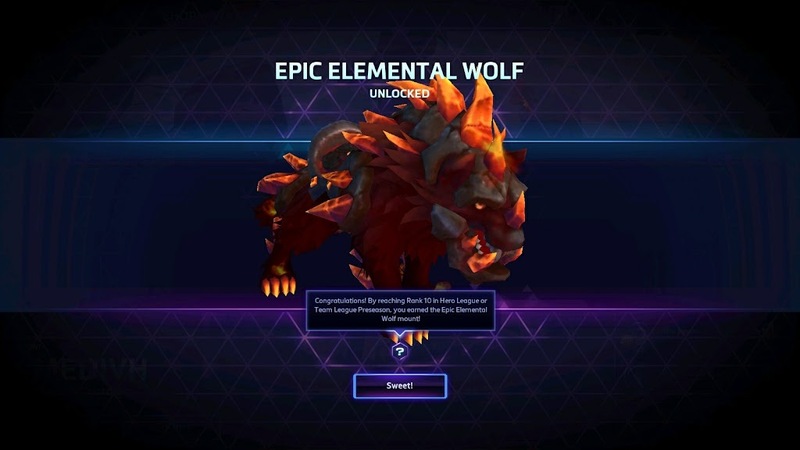 Because we don’t have a real draft built into the custom game interface in Heroes of the Storm, we have to use a third-party website to do our draft. Unfortunately, this website doesn’t really work properly, and the players have to constantly spam Refresh in order to see when picks and bans are locked in. Every several seconds, the whole thing would stop loading. 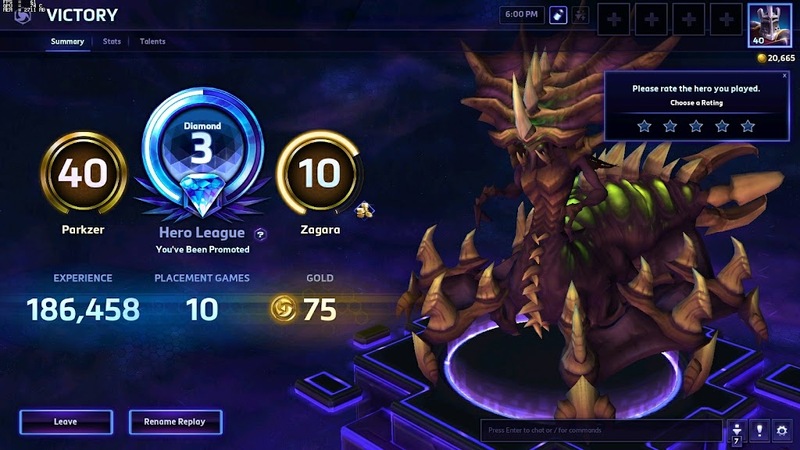 At one point, for a little while, Zixz only had access to picking 10 heroes in the draft screen. Once we finally get the draft website working, we discover that our observer had sent the wrong draft link, with only one ban instead of two. We obviously have to remake the draft lobby. Then, the observer proceeds to send Tempo Storm one link and Naventic another link. Both teams im­me­di­ately ready up, then sit and wait for the other team. After the countdown timer went down by a cou­ple hundred seconds, I got suspicious and went over to the other side of the curtain to see what was going on with Naventic, when I found out that we were waiting for them, and they were waiting for us. The observer finally sent both teams the same link, and we got started. The problems still weren’t entirely fixed, though, as the website continued to stop loading once in a while, and Tomster’s draft randomly crashed and gave 502 Bad Gateway errors. At one point, the drafting website force-picked Nova for Tempo Storm when we wanted to pick Uther. Eventually, we ditched the website and did the draft in the lobby, which helped us make some real progress towards playing the game. Unfortunately, Tempo Storm HotS dropped the series 0-2 to Naventic, but had some decently close games. This will place us in the lower bracket tomorrow, facing off against Panda Global in the second series of the day. If we rise victorious in this series, we will face the loser of Naventic vs. Astral Authority to decide who moves on to the semifinals on Sunday morning.